Zehr Building LLC CEO Lawrence Zehr was looking for a robust web presence for their business. This project involved several web domains, a JQuery slideshow and lightbox, cgi contact form, and a project gallery. 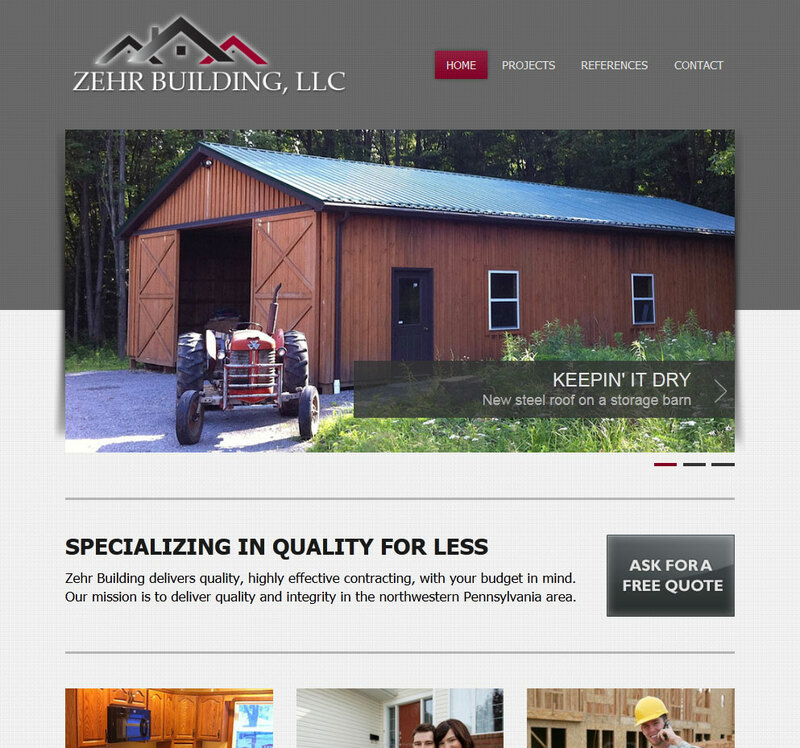 We also launched Facebook and Google+ pages for Zehr Building LLC.